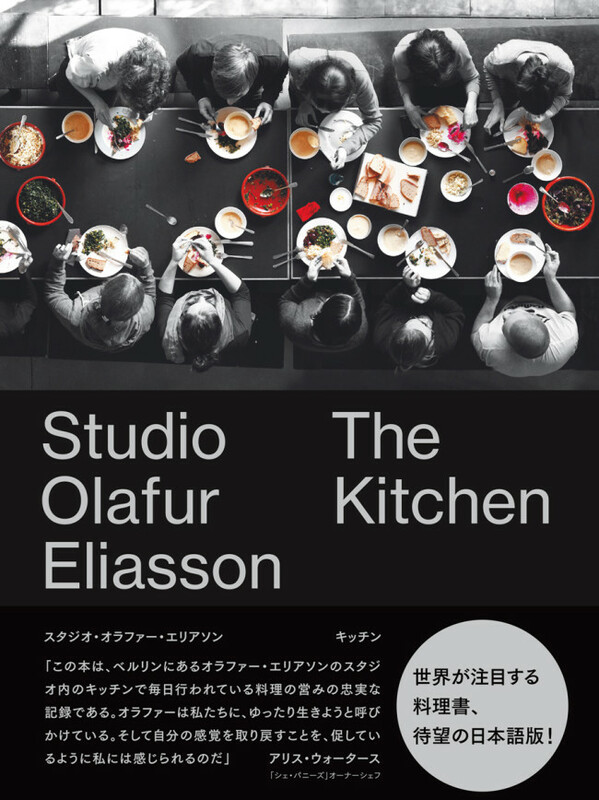 Phaidon is publishing Studio Olafur Eliasson: The Kitchen in Japanese. The extended artist’s book and cookbook that focuses on the studio’s kitchen – its work, research, and experiments – is based on the studio publication TYT [Take Your Time], Vol. 5: The Kitchen. Since the work and food thinking of the kitchen team are closely connected with the projects, symposia, workshops, openings, and events at the studio as well as the Institut für Raumexperimente and the studio’s project space Grey Sheep, the book is a portrait of the studio seen from the perspective of the kitchen. Along with over 100 vegetarian recipes, the book provides insight into the daily life of the studio with the kitchen at its heart, and documents a wide range of workshops, food experiments, and selected exhibitions. For information on the English version check here.